Sometimes you just want to escape the city. You want to go somewhere that has it all. Where you can still enjoy socializing at local breweries, hiking, walking along the promenade, and breathing in fresh air, out in the open. The area? Port Moody. It’s trending right now for all the right reasons and you can easily picture yourself living there when you spend even just one day in the area. With the recent completion of the Evergreen Extension and West Coast Express, commuting from Vancouver couldn’t be easier. To help you see why Port Moody is the place to be, we’ve compiled a list of six existing and upcoming features of the urban Metro Vancouver hub that you need to experience for yourself. Ahh yes, spending time in Port Moody is even better when you can set out on your own mini ale trail. This is easily done since the area has four main breweries located along the same row, within walking distance of each other. You could start off in Moody Ales, venture up to The Parkside Brewery, steps away you’ll find Yellow Dog Brewing, and then finish up with a hoppy ale in Twin Sails Brewing. This is just one of the features that would make you want to live in this area, the fact that you can walk to a brewery on Saturday night and walk home safely afterwards. There are neighbourhood plans to transform Spring Street in Moody Centre into a pedestrianized area with an epic promenade. The unique roadway will have a distinct character that changes as you move from west to east from Douglas Street to Electronic Avenue. The vision is to highlight the design of this historic street by including narrowed street entrances, varied paving materials, landscaping, lighting, street furniture, off-setting on-street parking, and other features that will make it an even more inviting pedestrian realm. 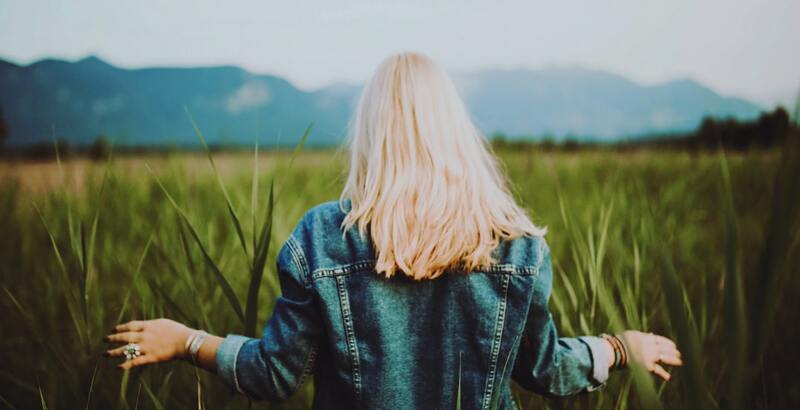 If you’re an outdoor enthusiast you’ll easily fall in love with Port Moody because there are a wealth of trails to explore. The best part is that they’re all located around the local area so you don’t have to drive for hours to get there. 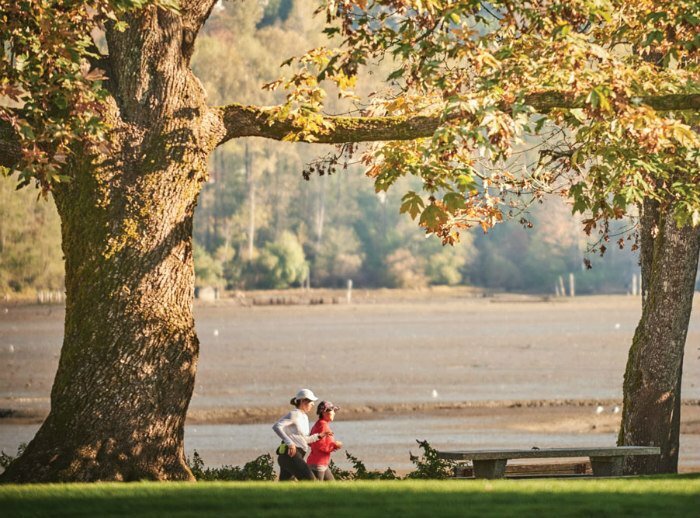 There’s the beautiful Shoreline Trail you’ve probably seen on Instagram, Bert Flinn Trails, and Belcarra Regional Park right next door that are all calling your name. Port Moody is home to the Burrard Inlet, one of the most stunning waterfronts in Metro Vancouver, which is wrapped by the Shoreline Trail and at Rocky Point Park. It’s somewhere you can take an early morning or evening walk and you’ll never get tired of the Instagram-worthy scenery before your eyes – there’s even a shipwreck visible. And the fact that you can take your dog on a walk along the waterfront with you makes it even better. Plus, you can end your day on a high note here by grabbing a tasty bite from Pajo’s Fish and Chips. You can go all-out and follow this with a dessert from Rocky Point Ice Cream on Murray Street. They even sell dog ice-cream cones, too. It’s super easy to get to Port Moody from Vancouver by car, and it’s just as easy via public transport thanks to the recent SkyTrain Evergreen Extension. This means you can access the surrounding cities with ease and without having to wait on buses. Commuting to Waterfront from Port Moody via the West Coast Express is an even quicker 25 minutes. So if you work in downtown Vancouver and you live in Port Moody, your commute should be hassle free. Port Moody is quickly evolving into a transit-orientated, pedestrian friendly urban hub so it makes sense that people want to settle there. That’s why a brand new development is set to be built at the intersection of Clarke Street and Douglas Street – Edgestone. An extension of the promenade, this development will revitalize Spring Street into a functional public space. 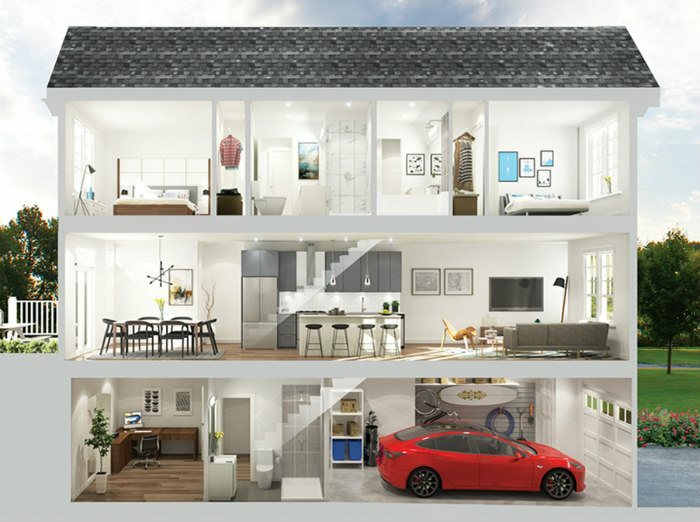 Living there means you can enjoy life in a spacious three-storey home with plenty of built-in storage options and a smart home technology. The grand opening of Edgestone is taking place this coming weekend so you can go and check out the new planned development in this family-oriented community for yourself.